The Inheritance stands at almost seven hours long: Matthew Lopez’s two-part, self-aware epic on the legacy of gay men past-and present. Treating everything from the devastation of a post-AIDs generation and the LGBT reaction to the Trump-era, The Inheritance paints a vivid image what it means to be homosexual and living in modern day New York. Openly narrated, a cast of beautiful men collaboratively recount a tapestry of stories, circling around the pair who sit at the epicentre of the performance – Toby and Eric. The Inheritance is a testament to the power of storytelling; the men squabble over details, however ultimately their paths are set for them – inherited from and dictated by the events that have passed before them. It is at times both heart-wrenching and hilarious, with themes as universal as love, or as specific as Trump, being handled in a way that is quite simply innovative. Lopez is unafraid of pausing the plot to make way for intense debate on LGBT culture, privilege and poverty; he deftly avoids lecturing the audience, and instead weaves fair, impassioned and considered points into the dialogue between characters. The audience (speaking particularly as a white, straight woman) does not feel isolated but rather included in these debates, forbidden from a feeling of disinterest and implicated in the grappling of these issues. The cast sit around a deceptively bare, table-like stage which rises and falls throughout. Devoid of all but a few props, it is the intricate dialogue and narration that paints the settings, transporting the audience better than any elaborate set might. Lopez’s writing is undeniably beautiful and uninhibited, coming alive against such a simple backdrop. The actor’s handling of the text is also exceptional, with many a stand-out performance. Kyle Soller brings alive a potential ‘safe’ character with his conveyance of Eric’s inherent decency, which contrasts perfectly with the tragedy of Toby’s complete self-absorption and route to destruction, portrayed by Andrew Burnap. A few actors handle multiple characters, however it is Samuel H Levine flipping between the confidence of Adam and the uncertain self-consciousness of Leo, even during the same scene, which is spell-binding. Similarly, Paul Hilton’s portrayal of both Walter and Morgan Forster is stellar. 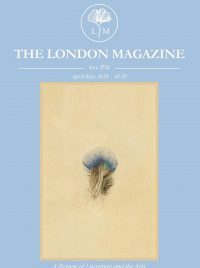 Walter’s quiet humanity paired with the representation of Morgan as a caring but measured British man in a tweed jacket truly epitomises just how far the LGBT community has come in recent years. This is a cast dominated by men, and whilst Vanessa Redgrave’s appearance in the latter parts of the play is moving, it is incomparable to the ambitious speeches and constant presence of the other cast members. A play of this length is certainly an undertaking, and this features as the gag of many a joke throughout. I had a little more processing time than most, seeing the two parts with a week in between. Whilst the end of part one is not left on a cliff-hanger as such, I was still desperate to see the second even a week later. The soap-opera like nature of the multiple storylines left me wanting for more, even having seen part two. 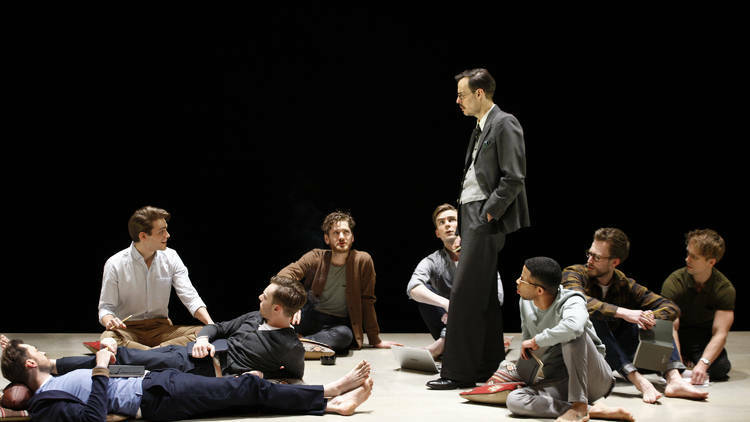 The Inheritance is fundamentally significant and utterly enjoyable; the perfect combination of comedy and genuine issues tied together perfectly with a stunning script. Whilst this marathon of a play may feel like a commitment, it is one you will not regret.